Six rescued sea turtles are swimming in warm tropical Atlantic waters today after an epic road trip south. That’s after three Aquarium rescuers drove 18 hours to bring the three Kemp’s ridley and three loggerhead sea turtles to St. Augustine, Florida, for the release this week. The crew left Quincy on Sunday headed for the Georgia Sea Turtle Center on Jekyll Island, where the turtles got to stretch their flippers in holding pools and rest. The turtles rested overnight at a turtle rescue facility on Jekyll Island, Georgia, before the release. The crew was back on the road Tuesday next morning in search of warmer water suitable for the turtles. 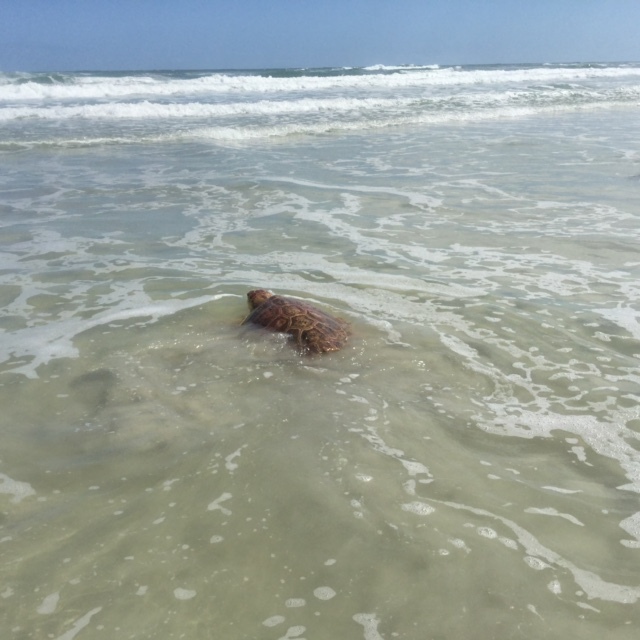 They found the right conditions at Anastasia Beach in St. Augustine, Florida. 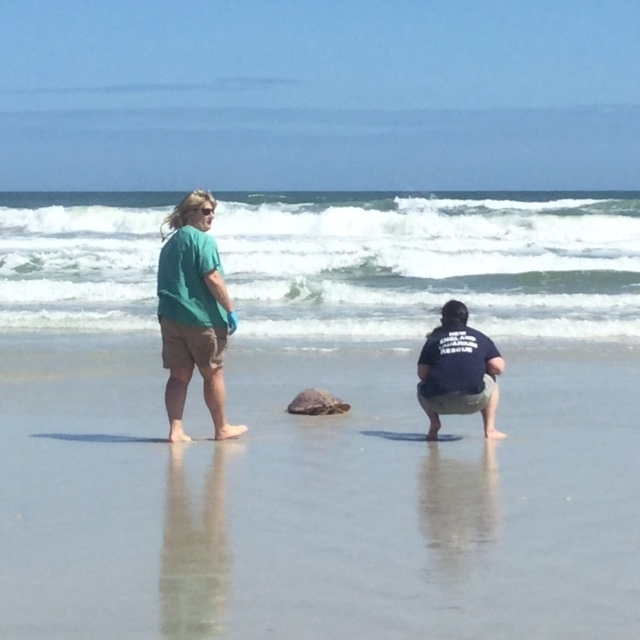 Dozens of lucky beach-goers were in the right place to see the unpublicized turtle release. 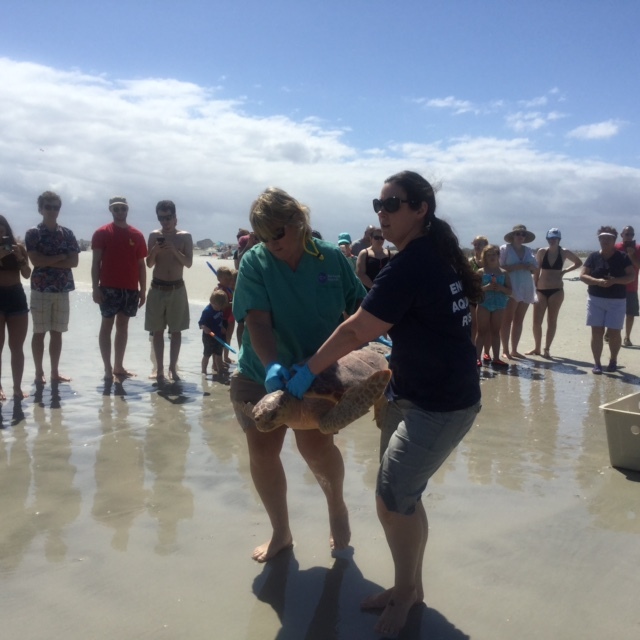 Lucky beach-goers on Anastasia Beach watched rescuers heft a heavy loggerhead before its release. Rescuers carried the turtles near the water, and the turtles took it from there. All the turtles found their way into the surf and are now home in the big blue! 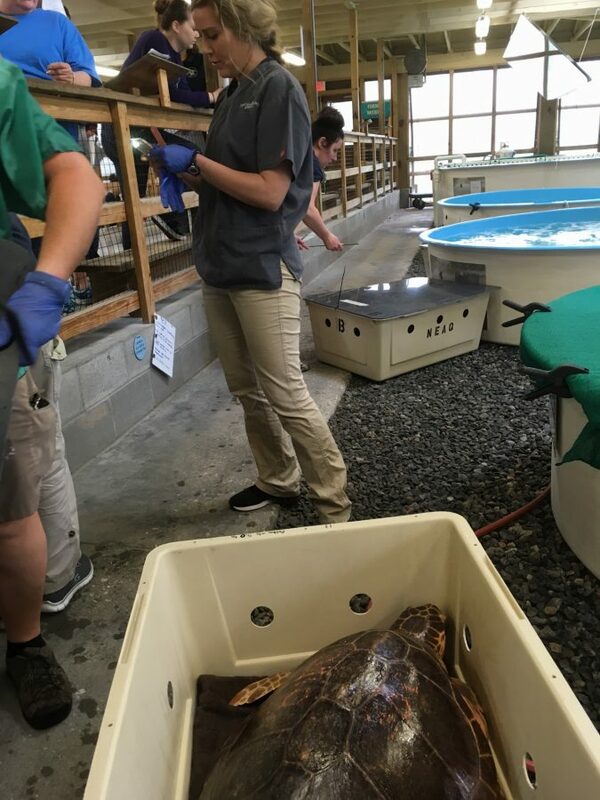 After the third largest sea turtle stranding season in Aquarium history with more than 300 turtles treated, only 25 turtles remain in care of the Aquarium’s Animal Care Center team in Quincy, Mass. Pending clean bills of health, the rest will be released later this spring and summer.